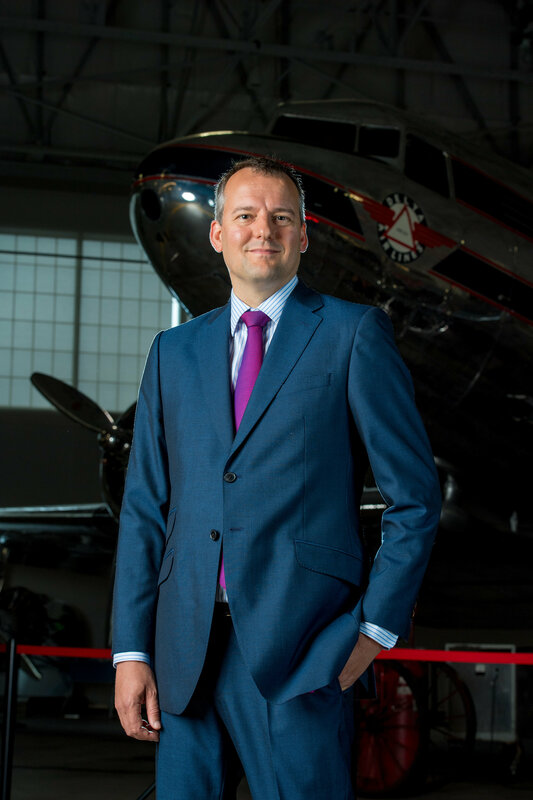 Corneel Koster’s journey to leadership at Delta Air Lines might have begun in the forests of Europe. A native of the Netherlands, Koster enjoyed backpacking across the continent as a young man. Having lived abroad, he nurtured a passion for making connections across cultures and national boundaries. That quest led to a post-university stint as a management trainee at KLM, and 20 years later Koster has made good on his ambition – for himself and for millions of travelers. 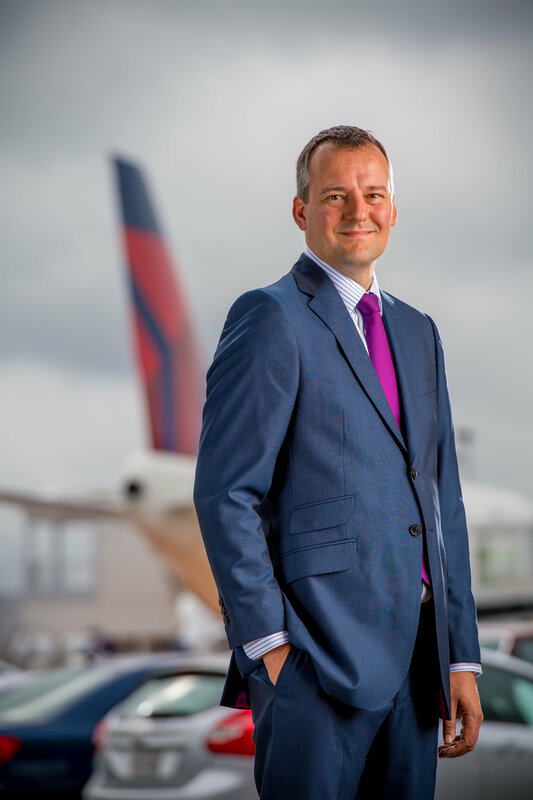 He’s worked in aviation in continental Europe, the U.K., Mexico, Japan and Hong Kong before joining Delta in May as London-based leader of the Europe, Middle East, Africa and India region. 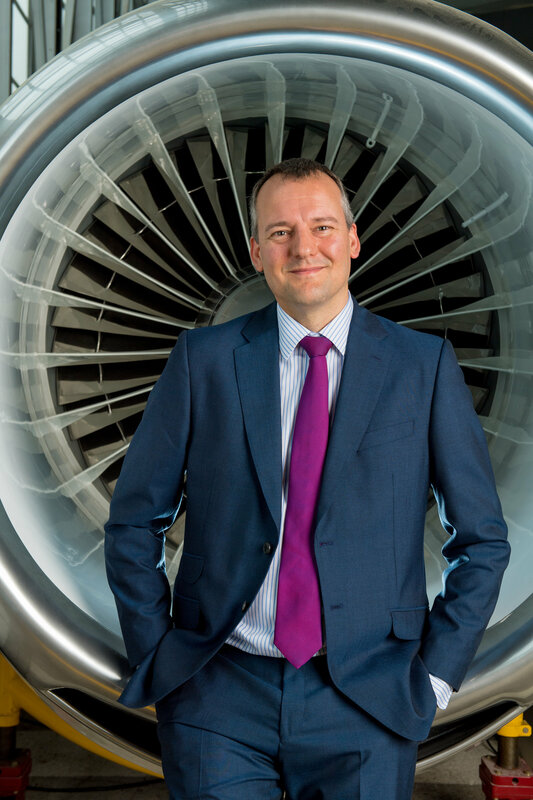 Koster’s experience – gained at Delta partners Air France-KLM, Virgin Atlantic and, most recently, Aeromexico – gives him deep international insight at a time when Delta is continuing its mission towards becoming a fully global airline. During a recent interview, Koster spoke about his background, his new role and what he calls Delta’s international growth journey. “We are firmly on this exciting journey, and to continue this successful course, we need to work closely with our partners, living and breathing the spirit of cross-cultural learning and opportunity,” he said. Delta News Hub: Describe your leadership style. Koster: Giving clear direction is always important for a leader and communication is very important to me. I like to listen, to gather lots of opinions before I make a key decision. Setting ambitious targets and clearing obstacles so your team can meet these goals. I enjoy helping people cut across silos to reach their potential in a fun and focused way. It comes back to servant leadership, which is something Delta embraces. It’s about understanding what makes people tick, motivating or harnessing the energy of people on the team and staying focused on what’s best for customers. The successes are about the team, not about me or any individual. And you are never satisfied; I love the motto, “Keep climbing.” I attended the amazing Global Sales conference in Detroit recently and Steve (Sear, President – International) said, “Stay humble and stay hungry.” That’s spot on. How has working around the world influenced you as a leader? I’ve learned to apply different styles depending on the culture. Sometimes you have to be more patient, more understanding and probe a lot, when you are working with other cultures because people are different and we need to recognize and value those differences. Working cross-culturally is a mindset. You’ve got to be respectful, be inquisitive, and try to fully understand different perspectives to forge a strong common outlook. You have a lot of experience working with Delta partners. How would you describe the value they bring to Delta and its customers? It’s enormous. We are able to give customers many more options in schedules and destinations. We can get them to fantastic places around the world while delivering a great travel experience. By being highly integrated, by delivering a hassle-free, comfortable, enjoyable journey across our combined partner networks. Customers will keep choosing us over competitors if we work together as one airline, because nobody can compete with what we can offer. Plus being more global means we don’t rely on one region for success. We can draw inspiration from other markets and cultures, learning other ways of solving problems and achieving our goals. Also, these partnerships open up new flying opportunities for Delta, our customers and employees. More than half of Delta’s international flying is to our partners' home markets and we’ve seen a nearly 20 percent increase over the past 10 years. That growth would not be possible without our partners, and they are benefiting as well. Our partnerships are also great for employee career growth because there are opportunities for those willing to work across borders and experience other cultures. You will see those opportunities continue to grow. What do you think are the top priorities for the EMEAI region? Deliver an excellent experience across our network and partner airlines, so customers love our service and enjoy highly comfortable overall journeys. Keep working to build highly integrated teams across our partnerships, so we work as one. Create an exciting, fun region for employees to work in, both expats and our regional talent, to attract and retain the best minds. Achieve strong financial results, so we can invest in more flying and in our people. Grow awareness of the Delta brand, which is not as well known in this part of the world due to the strength of our partners’ brands. Delta’s journey is a compelling story and it resonates here. Get to know yourself and find out who you are and what motivates you. Learn what you are good and not so good at, keep growing and learn to build teams that will help you overcome any blind spots. It’s also important to be optimistic. An optimist will always go further than a pessimist. Harness your positive energy and project it. People will believe in you and you will believe in yourself. Don’t overplan. Keep some spare time to experience the unexpected, meet amazing people and go where your heart takes you that day. Name something you always bring with you on a trip. Now, a mobile charger. In the past, a super-compact hammock to relax and sleep anywhere. I like to explore new destinations on all continents. I enjoy mountains, wilderness, forests, beaches and cities. It is the contrast and cultural experience that makes each special, so I don’t have one favorite destination. The people you meet along the way make a destination unforgettable. Any place you’ve never been that you’d like to visit? The Icehotel in Sweden, close to the Arctic Circle. Jaipur is also on the list, as is New Orleans. Hometown: Born in Utrecht, Netherlands; lives in Lewes, U.K.